Fantastic racing this past week by the team! 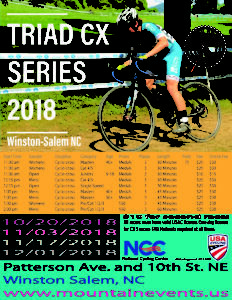 It started with the Triad Crit Series at Dixie. We had a huge showing in the C Race. 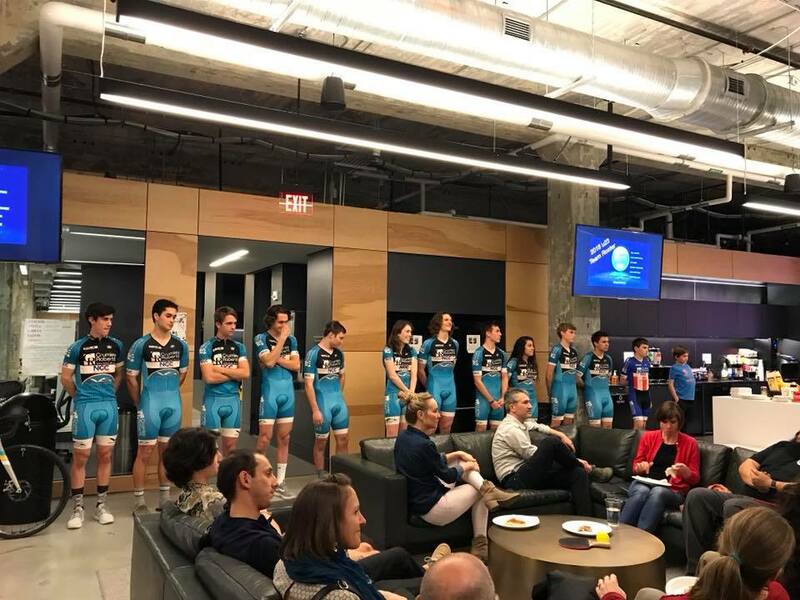 From the Junior team: David Davenport, Wes Haggstrom, and the Salazar Garcia’s Elizabeth, Niko, and Matthew; as well as u23 riders, Jake Grimes and Mikki Whittington. Jake attacked with about 10 laps to go and had a 15 second advantage over the group which was being patrolled by Niko, David, and Wes. While the field chased furiously, he held his gap to the line and took the C Race win with Wes 5th and David 8th! The juniors then helped run the kid’s race, following behind to make sure no riders warming up on the course interfered with their race. Later in the evening Will Hardin put in a tremendous effort at the front of the A Race to take a solo victory. Our first A race win this season and our second win of the night! And, I didn’t get pics again because I was racing with him 😬 But, Zach Hosteler and I know exactly how much effort he put into that ride, ouch. 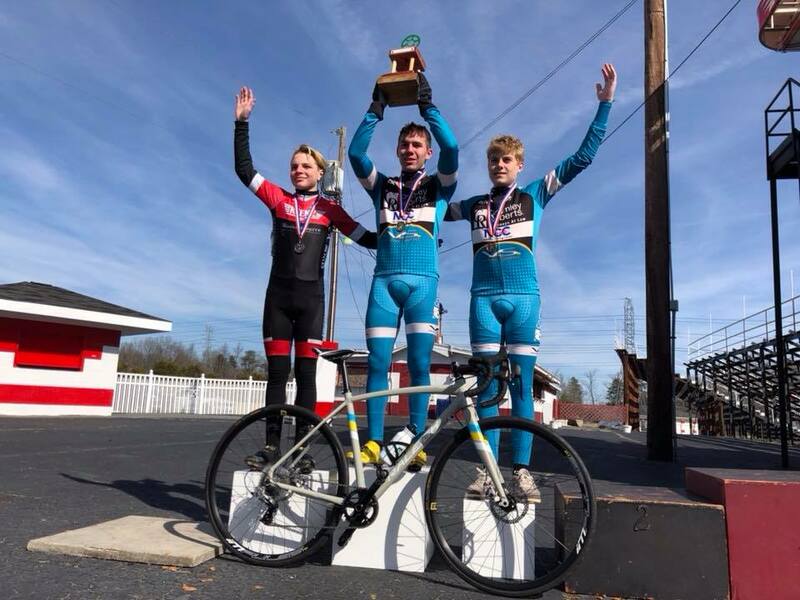 Back on the 20” wheel bikes, Kit Bjerk, Matthew Salazar Garcia, and Gus Hamblen did some BMX racing over the weekend at Powder Springs, GA and Tanglewood. At Tanglewood, Gus brought home his second trophy since graduating up from the balance bike category! 3rd on his big bike 👍🏼 Matthew snagged a 2nd in 13 expert at T’wood after a hard fought battle with road/cross teammate Wes Haggstrom (C-Yaa Factory Team for bmx racing). 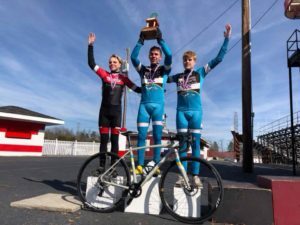 Kit brought home 2nd place on Saturday in Georgia at the USABMX National Series race! He followed that up with an 8th on Sunday after slipping on the gate in the cold rain, still a great result to make it to his main again in tough conditions and in the toughest category in amateur BMX. Thanks for supporting these kids! Come watch them race on Tuesday nights at the Crit Series, Saturday’s at Tanglewood BMX, or at the WSCC on May 26th in Winston Salem. We recently picked up two new racers! Pic’s and a short bio below. The team raced the Triad Crit Series at the Herbalife plant and the NC State Series race at Tanglewood BMX. Herbalife was a huge success this week. Peter Wallace grabbed the win in the C race with help from his junior teammates! At about 3 laps to go in the race, Niko and Wesley broke from the pack and strung out the field. They were caught with about a lap and a half to go but the move set up Peter perfectly for the sprint. Zach and Marcel raced the A’s and Marcel was able to pull off 2nd place! Later in the week we hit the BMX bikes for the State Series race in Tanglewood Park at the BEST track in North Carolina, Tanglewood BMX (totally unbiased opinion 😉). Kit Bjerk took the win in 17-20 expert, Niko Salazar Garcia won the 15 expert, and Matthew Salazar Garcia was 2nd in 13 expert! Gus Hamblen also picked up 3rd in 5 novice. Now the new riders, David Davenport and Jake Grimes! My name is Jake Grimes, I am a Sophomore collegiate cyclist at Lees-McRae College. I was born on August 5, 1998 and I have been riding a bike ever since! I have raced 7 seasons of cross-country mountain biking, and I have shifted my focus completely to road racing. My big goal for this up-coming season is to reach a Category 3 upgrade by the end of the summer. I am currently a couple of starts away from my Category 4 upgrade. The kid’s race at Dixie is steadily growing each week. If you have any under 12 bike riders, or know of some, bring them out for a one lap race at the Triad Criterium Series! Jacob Bernas was our only junior racer on Tuesday in the C race. He had a good ride and stuck around to watch Marcel in the A race. Hanging around to watch the Pro 1/2 riders is actually a very smart move. These kids can learn a lot about tactics (and suffering) by watching the upper category racers. And, Marcel and Zach were putting on a fantastic show in the A race. The field was deep with pro cyclocross racers Travis Livermon, Kerry Werner, and Alex Ryan, plus a special visit from Wake Forest Alumnus and super fast California racer Dr Stephen Vogel. Zach and Marcel put in huge efforts to get away but it wasn’t to be as the pack came together for a field sprint in the last few laps. Meanwhile, Kit Bjerk has been tearing up the local BMX scene at the Tanglewood and Burlington tracks. Kit is heading to Georgia in a few weeks for the USABMX National where he has a really good shot at more podium finishes! We are racing BMX Monday night at Tanglewood and heading to the third round of the Triad Crit Series on Tuesday (Herbalife plant off Union Cross Rd at 6pm). Then, it’s back to T’wood on Friday and Saturday for our State Qualifier race. Details on the website http://www.usabmx.com/tracks/1906/events/schedule?mode=list and FB Tanglewood BMX. Come on out and watch the team compete this week! 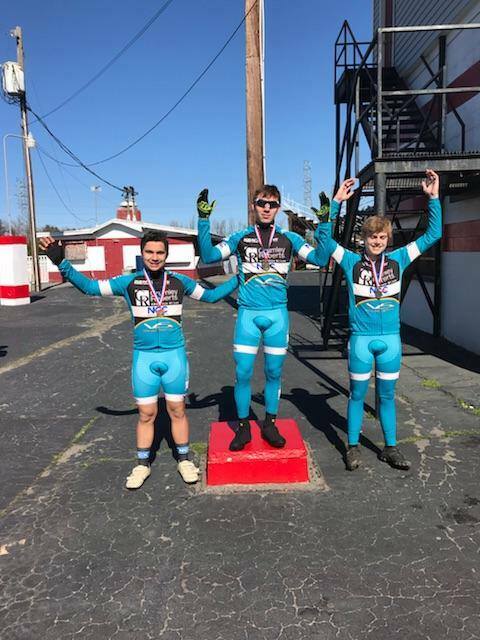 Kit Bjerk hit the Carolina National at Rock Hill BMX and raced Expert 17-20. This is an ultra competitive class with about 50 riders fighting for the win. Kit breezed through motos, quarters, and semis to make it to the Mains on Saturday and Sunday and picked up a 3rd and 6th in the 17-20 class!!! I think a move to A Pro is right around the corner this year. Big thanks to Potter Racing Products for getting our BMX jerseys done in time for the Carolina National! If you need BMX/downhill or pit jerseys MADE IN THE USA, talk to Doug! Meanwhile, Peter Wallace was suffering in the muck at the Love Valley Gravel Race and the other u23 riders were at collegiate road races. Peter rode most of the race with Mother Team (Carolina Masters) member Emily Shields, working together to make it to the line in 3:24ish! As you can see, conditions were awesome! Mud, gravel, slippery pavement, mud, and gravel. The junior team raced at Ace Speedway one more time last week. Why do we keep racing at Ace, it’s not a race series, it’s the only venue hosting races at the moment. We’ve lost a lot of good road and Criterium courses in North Carolina and there doesn’t seem to be anyone taking up the slack. Always remember to support your local race promoters! Now, on to the fun stuff. The Salazar Garcia’s are well acquainted with Ace by now and know exactly how the race will play out. Their experience paid off, Niko and Matthew visited the podium again in first and third! — with Maria Salazar, Crumley Roberts, Attorneys At Law, National Cycling Center and Ken’s Bike Shop. Race report! The junior team raced the Bull City GP, at not Durham (?) but Ace Speedway on Sunday. Niko, Elizabeth, and Matthew Salazar Garcia joined Finn Hosey and Jacob Bernas for more laps of the now quite familiar speedway. The team did exceptionally well, taking the top three spots! Niko and Jacob doubled up and raced the 4/5’s as well to get in some more fast training. It’s not easy riding in the senior category but that’s the point, they ride over their head a little and learn how to race with a larger faster group. U23 rider Marcel Gutierrez teamed up with Senior rider Zach Hostetler for the 1/2 race and the pair made the big break of the day only to get caught shortly before the finish. Still, a good effort and great training. 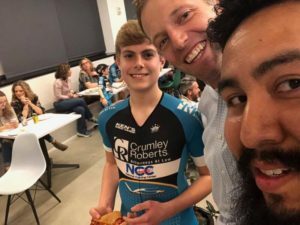 The Velocious Sport Jr Team (Crumley Roberts, Attorneys At Law, @usnccws, Kensbikeshop) had a great day of racing Saturday, Niko Salazar Garcia won the Ace Speedway Criterium Series in the Juniors category! He was first on the day to secure the series omnium title after winning both events. Jacob Bernas was 3rd on the day and 3rd overall in the junior omnium. Despite the freezing temps the guys doubled up and raced with the senior 4/5’s where u23 rider Peter Wallace led out the sprint and hung on for 4th, while Niko was 5th. It’s been a good start to the road season! Big thanks to Triangle Velo for the racing. Learning how to cope with cold weather is not easy but thanks to some warm Rouler Sportswear fleece jerseys and leg warmers, everyone was well prepared.